At Piedmont Technical College we connect with students in traditional classrooms, at eight locations, online and via our region-wide fiber optic PEN system. Every option is on the table when it comes to connecting students with the training and education they are looking for. This is especially true for high school students who are taking classes at PTC. The training Caleb Boatwright received as a Greenwood High School student is a good example of the opportunities area high school students are enjoying through the college’s dual enrollment offerings. Boatwright likes working with his hands and took some automotive classes at the G. Frank Russell Career Center. His cousin had taken machine tool classes and those classes interested Boatwright more than the automotive. So, he looked to Piedmont Tech. But even before completing his diploma, Boatwright’s hard work paid off when he was hired by Precision Plus. The company was very impressed with his hard work. Boatwright’s story just scratches the surface when it comes to the opportunities available to students through PTC’s dual enrollment program. Boatwright took his Machine Tool classes on Piedmont Tech’s Lex Walters Campus in Greenwood. But many students are taking classes at high schools across the college's seven-county region. Many of these students finish an associate degree just before they receive their high school diploma through PTC’s middle college program. In fact, more middle college students graduated this may than Piedmont Technical College has ever seen walk across the stage. In all, 19 high school students graduated with associate degrees at the commencement ceremony. This group of graduates also included some of the top graduates at the ceremony. For instance, the students from each county with the highest GPA were all middle college students. For McCormick High School, a quarter of the students in the senior class graduated from PTC in the middle college program and all of them were accepted into four-year schools. Valerie Yarbough-Jones, director of the middle college program at the high school, said the 10 students graduating received a total of more than $1 million in scholarships. Ginger Cannon, a middle college student from Ninety Six High School, was selected to be one of the commencement speakers. While there are many options for high school students to take classes at PTC, the college has not stopped coming up with new ways to make those classes possible. In one situation when it became virtually impossible for an instructor to be in two places at once, Piedmont Tech’s Newberry County Campus made the virtual possible. 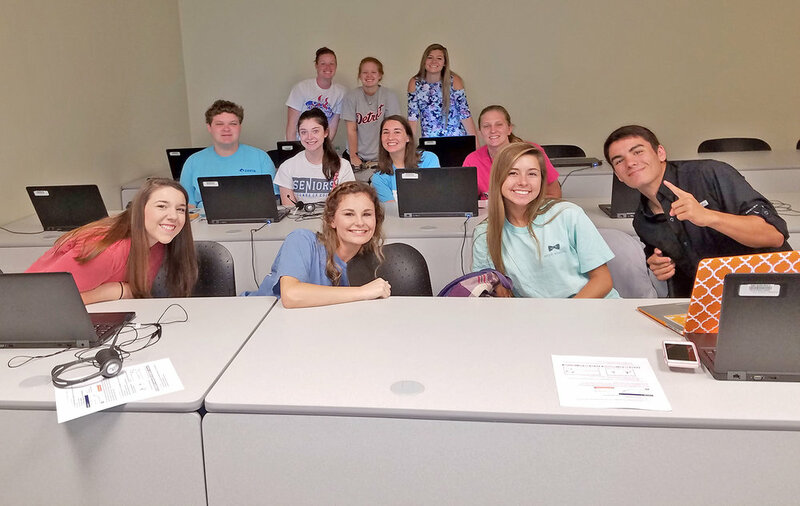 PTC launched a pilot program using laptop cameras and the latest technology to create a virtual classroom for a group of dual enrollment students in Newberry. Instructor Tory Willis-Miller said the class went remarkably well. Necessity became the mother of invention when Piedmont Tech found itself without an instructor for a government class in Newberry. “There was no way for me to get to Newberry in time after teaching my first class of the day,” said Willis-Miller, who is based at Piedmont Tech’s Lex Walters Campus-Greenwood and typically teaches the government classes.